﻿ Neymar: "Cristiano Ronaldo has style, but I'm the handsome one"
29.09.2011 » Neymar: "Cristiano Ronaldo has style, but I'm the handsome one"
Neymar resisted to a dream transfer temptation to Real Madrid or Barcelona this last Summer and remains playing in Santos. The Brazilian has now spoken about Cristiano Ronaldo and Lionel Messi and teased the Portuguese by saying that he has style, but the handsome one is himself. 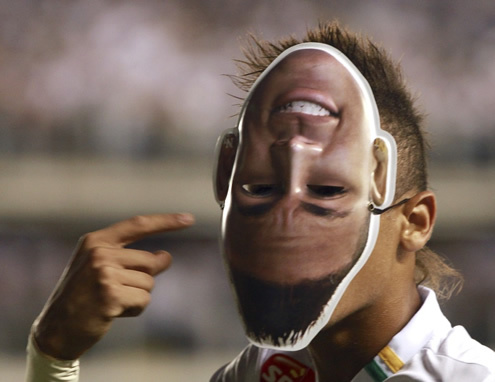 Neymar remains playing in Brazil, for Santos, but his popularity across borders doesn't cease to grow. 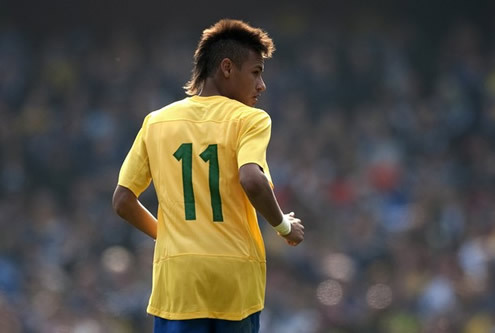 Being only 19 years old, Neymar height is 1,74m (5 feet, 9 inches) and his weight is around 64kg. That's precisely one point where a few specialists have already noted that he should improve at, before moving to Europe. They outlined that the Brazilian player must become stronger in order to be able to handle a more physical game, since that's what will happen in the Spanish League "La Liga". 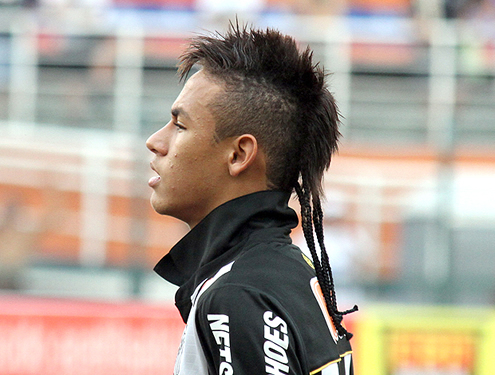 Neymar keeps being strongly linked with a transfer to Real Madrid in January, or as an alternative scenario, in the Summer of 2012. A partnership between Cristiano Ronaldo and Neymar will certainly be something exciting but always unpredictable at the same time. In his recent interview granted to the Spanish magazine "XL Semanal", Neymar confirmed his admiration for Barcelona's star, Lionel Messi, and assumed the Argentinian is one level above the competition. Neymar: "Messi is a genius, he can't be compared with anyone else. He has a short and fast dribble that simply no one else can match. I try it, but..." said the Brazilian between laughs. 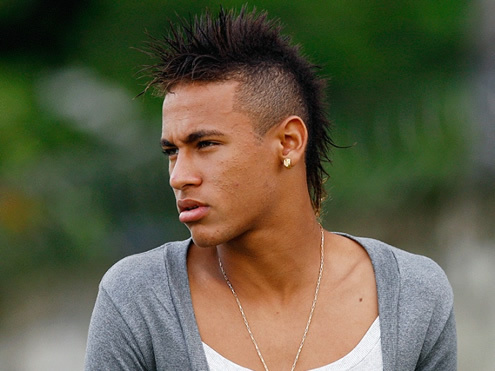 Neymar will probably play against Messi later this year, in December, when Santos will dispute the FIFA Club World Cup 2011 with Barcelona, a competition that will be held in Japan this year. 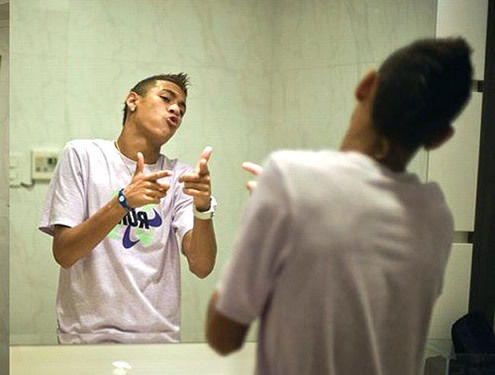 Among many other celebrities who decided to comment Cristiano Ronaldo statements about being "rich, handsome and a great player", Neymar did it, proving he also has a good sense of humor: "Cristiano Ronaldo might have style, but I'm the handsome one", joked the Brazilian, who is also known for being very proud of his looks and fashion style, as well as being vain. Before finishing the interview, Neymar approached a topic that illustrates one the aspects why he keeps being criticized and regarded as a high-risk transfer to Real Madrid or any other European club: his lack of maturity and typical youngster's arrogance. 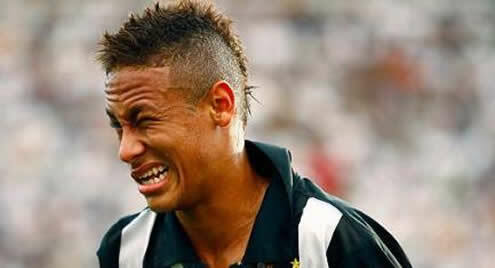 Nothing that can't be changed, as Neymar himself admits: "Sometimes I make mistakes and that happens with everyone. But I get ashamed when that happens. When I had that incident with Dorival Júnior (Neymar argued with his coach on the field, for not letting him take a penalty kick), I got home later that day and I saw my mother crying. She told me I wasn't her son anymore, because she didn't raise that kind of person. She told me that she wanted me to be "Juninho" again (his nickname at home). 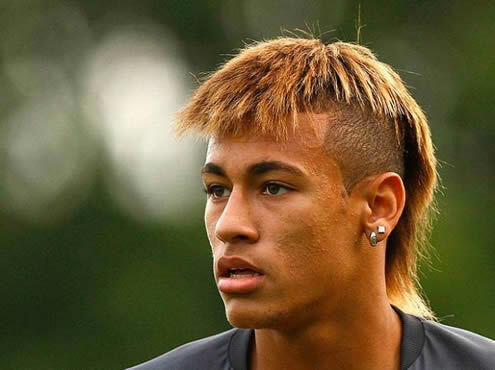 ", revealed Neymar, showing he also has a humble side. Real Madrid next match will be against Espanyol, for La Liga, this Sunday (02/10/2011). You may watch Espanyol vs Real Madrid free stream, in our Football Live Streams section. Cristiano Ronaldo will certainly be a starter. The countdown clock timer, displaying the time left for the next Ronaldo game, is shown on the top right corner of all pages. Besides Real Madrid match, this weekend you can also watch Manchester United vs Norwich online on Saturday, and Sporting Gijon vs Barcelona free streaming, on Sunday, inside our "Live" section.